In this article, Nigerian Infopedia shall take a look at the salary structure of medical doctors in Nigeria monthly. 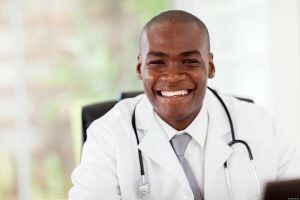 The medical profession is one of the noblest of professions in Nigeria. Nigeria, the most populous black nation on earth has over the years, produced the best minds in the field of Medicine. The dignity of being a medical doctor is perhaps the reason most science students move heaven and earth to make sure that they get admitted into medical school. The training received at medical school is not child’s play, this is because several years are put into perfecting the things thought at medical school and because human life is very important and at the mercy of the medical doctors should one get sick and require treatment. Facilitators ensure that these life savers are thoroughly prepared to face the most challenging of tasks ahead. Having said all these, the question now is how much does a medical doctor earn in Nigeria? Certain factors are considered when looking at the amount received by a Nigerian medical doctor monthly and such factors may include the experience of the doctors and the sector (Public or Private) they work in. So how much do Nigerian doctors earn? Nice one! I came across an article where it was stated that a survey was carried out by mysalaryscale.com in 2017, and that salary data for different professions were gathered all across Nigeria. The survey result showed that a medical doctor earns an average salary of #250,000 a month. This excludes other financial benefits and multiple job earnings. The survey also found out that the salary increases with the years of experience in the field and while an entry level doctor earns an average of #170,000, an average middle-level doctor earns an average of #270,000. I was actually smilling when i read that article; just curious about what people think about doctors salaries in Nigeria. Which doctors are they talking about. these values may be true for doctors working with the federal gorverment where things work and they are not just new doctors and they are the minority. the majority work in private sectors and some states where they pay them less than 100k per month. some states deduct up to 29k per month from there salaries as task.